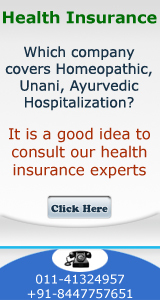 (i) The UNIVERSAL HEALTH INSURANCE policy will be available to both Individuals as well as in Group. 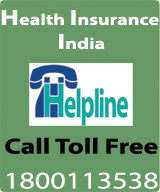 (ii) Each Insured should cover all eligible members (insured persons) under one group policy only. In other words different categories of eligible members shall not be allowed to be covered under different group policies. It is not permissible to issue any unnamed group policy. (iii) The Individual Policy will be issued in the name of the earning head of family with details of insured family members. The Group policy will be issued in the name of the Group/ Association/ Institution (called insured) with a schedule of names of the members including his/ her eligible family members(called Insured persons) forming part of the policy. The policy covers reimbursement of Hospitalisation expenses for illness/ diseases suffered or injury sustained by the Insured Person. In the event of any claim becoming admissible under policy, the company through TPA will pay to the Hospital/ Nursing Home or Insured Person the amount of such expenses subject to limits as would fall under different heads mentioned below, as are reasonably and necessarily incurred in respect thereof anywhere in India by or on behalf of such Insured Person but not exceeding Sum Insured (all claims in aggregate) for that person as stated in the schedule in any one period of insurance. (d) Maternity Benefit – ONE CHILD ONLY (with 12 months waiting period) Rs.2,500/- for normal delivery and Rs.5,000/- for caesarean delivery. This benefit is available only once to an insured person during the currency of the policy or its subsequent renewals. ie. only once during the life time of insured person.